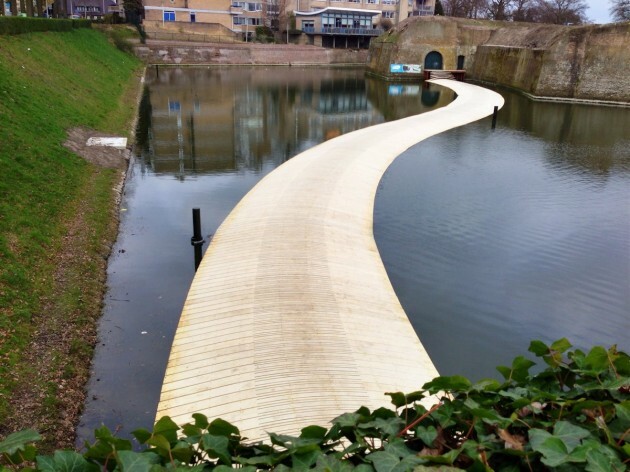 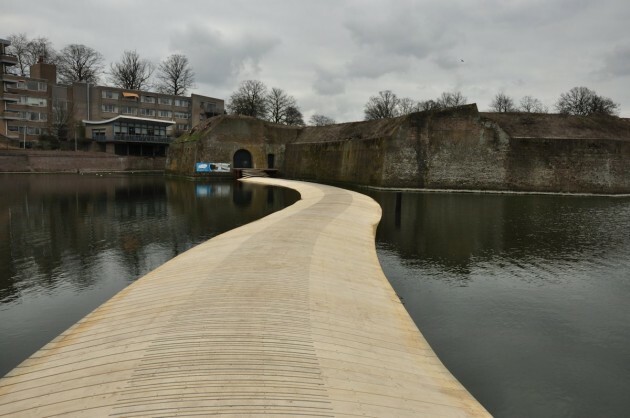 Architects RO&AD have recently completed the Ravelijn op den Zoom Floating Bridge in Bergen op Zoom, Netherlands. 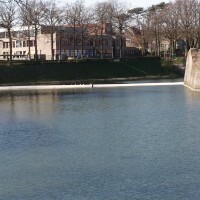 Dutch military engineer Menno van Coehoorn built the Ravelijn op den Zoom fortress in Bergen op Zoom, Netherlands, in the 18th century. 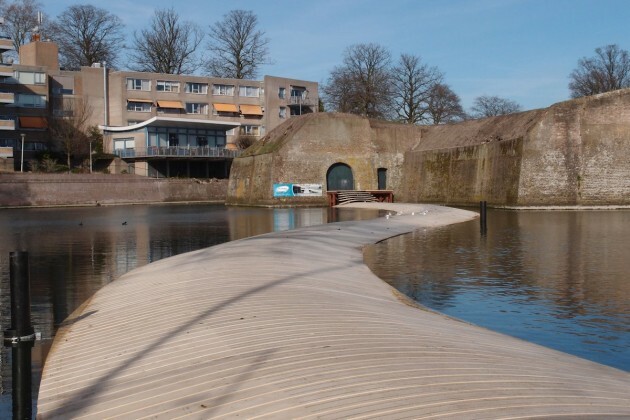 Designed with a moat as its system of defense, Ravelijn op den Zoom was only accessible by boat. 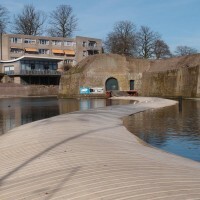 Today, the fortress is used for small events—and with the moat still in place could only be reached by a single bridge. 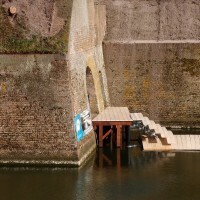 RO&AD architects sought to provide additional access to the small island to better accommodate guests as well as provide another exit for emergencies. 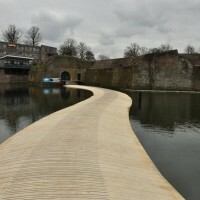 To increase access without distracting from the historic appearance and layout, the architecture team designed a floating bridge that sits on the water. 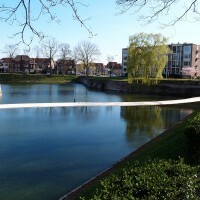 The bridge is 80 meters long and echoes the same path boats took to reach Ravelijn op den Zoom. 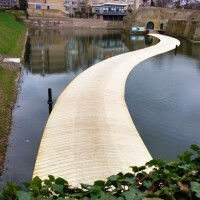 The bridge follows a curved pattern that doubles as a design aesthetic as well as covering the floaters—polyethylene pipes filled with air—on which the bridge sits. 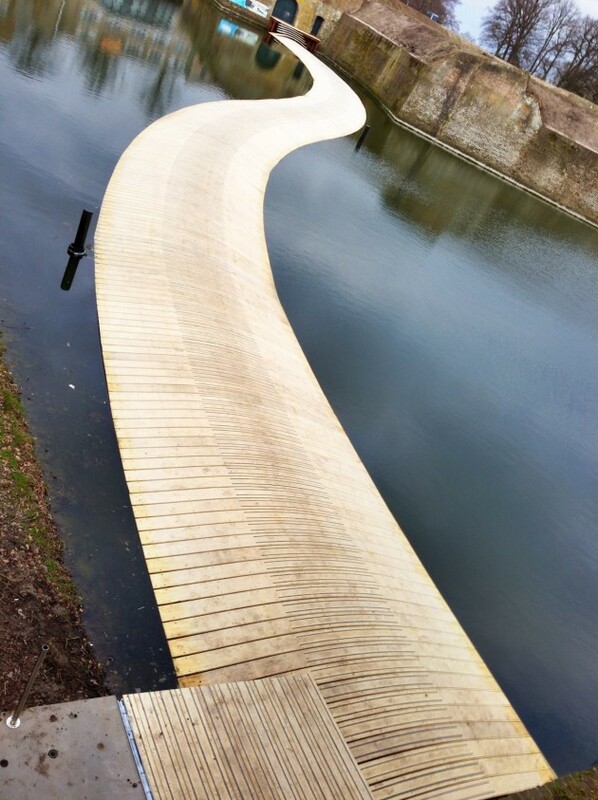 Designed with Accoya wood, the bridge surface features a natural and beautiful appearance that complements the historic nature of the fortress. 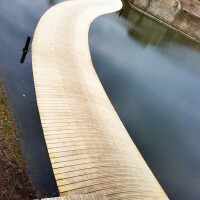 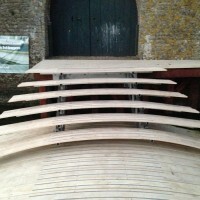 Accoya wood undergoes a revolutionary proprietary modification process called acetylation that renders it an unrecognizable food source, preventing fungal decay achieving increasing Class 1 durability while increasing its dimensional stability; swelling and shrinkage are reduced by 70% or more. 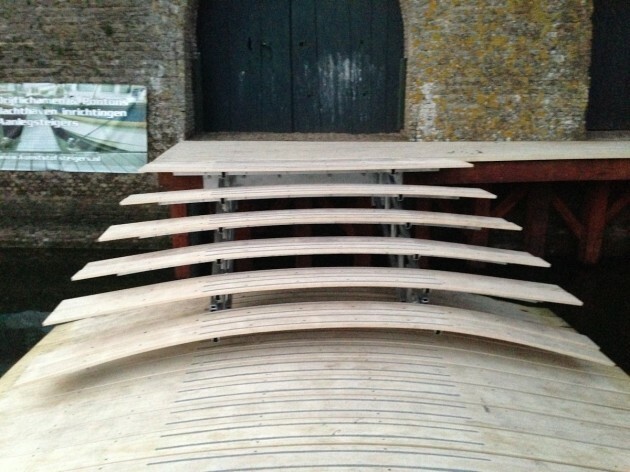 The material is sourced from FSC-certified forests, Cradle to Cradle Gold certified and independent tests have shown its carbon negative.